Minot was named North Dakota’s City of the Year for 2018 at the state League of Cities convention in September. The award reflected a number of completed projects and activities over the past few years and was part of the positive light shining on the region because Harvey also won City of the Year in the small cities category. 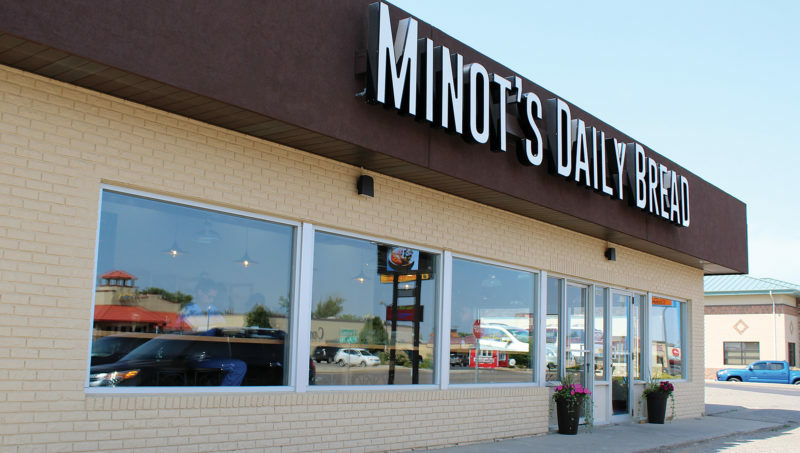 The City of Minot had its share of challenges and changes in 2018 as well. In June, residents elected a new mayor in Shaun Sipma, a council member who had served as a spokesman for #MakeMinot, a grassroots group supporting government reforms that included a smaller council. Sipma replaced Chuck Barney as mayor, creating a vacancy in his council seat for which council members appointed Stephan Podrygula. Podrygula had been an incumbent council member but finished behind Paul Pitner, Mark Jantzer and Lisa Olson in the six-way race for the three council seats on the June 2018 ballot. Pitner, a young businessman and real estate agent, was making his first race for council. 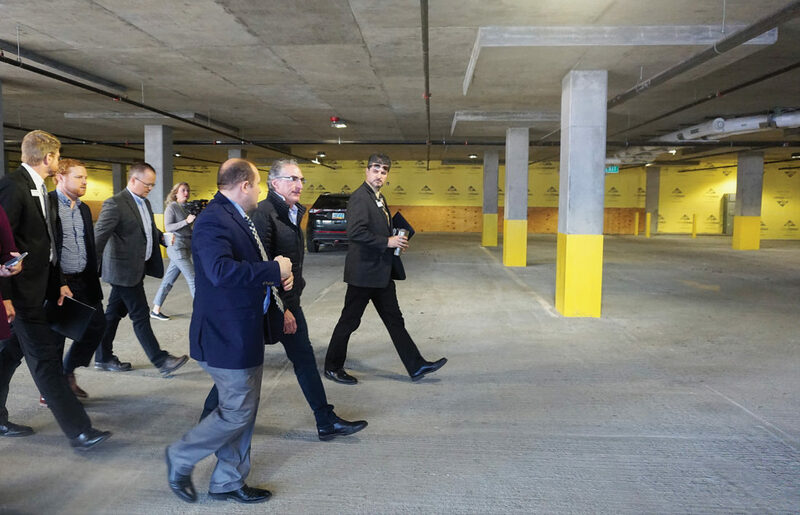 The new council continued to deal with parking ramp, budget and landfill issues that heated up in 2018. The landfill debate began in January after neighbors of the existing facility mobilized against a proposed expansion. 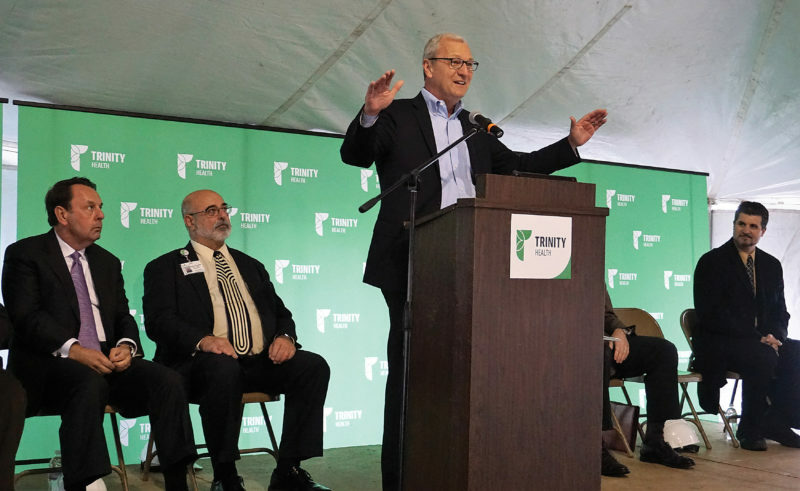 Trinity Health was among opponents, given the proximity of its medical complex under construction. 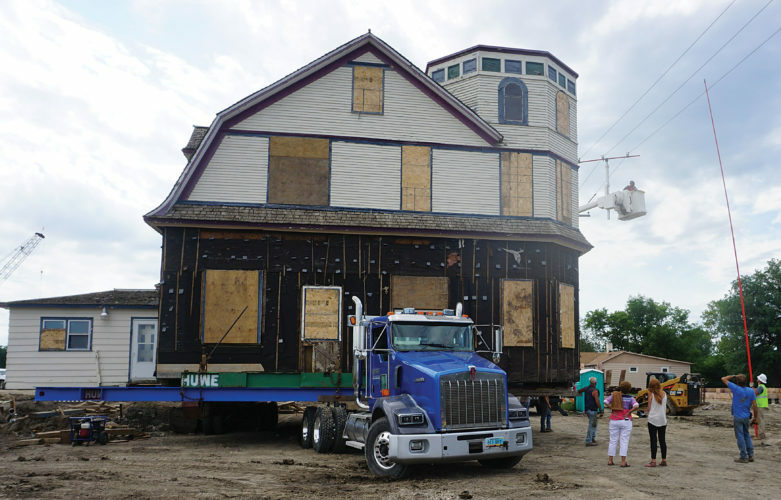 The Minot Planning Commission had tabled the item in November 2017, and the city ended up stepping back from its zoning request in 2018 to do more study. After a series of focus group meetings, two public meetings and consultant research, the Public Works Department recommended expansion due to the cost and the time involved in siting a new landfill. It wasn’t until December that the council felt it finally had the information it needed to make a decision. Members agreed to seek state permits to expand on about 80 acres purchased in 2017 south of the existing municipal solid waste facility and also on land south of the existing inert waste disposal. The city will apply to rezone all 320 acres purchased in 2017. Meanwhile, the city will begin looking for a new landfill site. In March, the City of Minot took over management of the two downtown parking ramps while suing the developer to collect on about $3.53 million the city says is owing in outstanding rent and construction-related expenses. The lawsuit in North Central District Court also seeks costs incurred to repair city property allegedly damaged by Cypress, costs incurred by the city to install exterior finishes in an amount of at least $507,531 and lost revenue. Cypress had responded the company has been working with the City of Minot on a resolution to the parking structure situation that would not cost the city or residents of Minot money. Cypress stated the biggest hurdle was to have the city live up to its obligation of finishing the parking structures, which the city owns. The council approved a $222,246 budget to operate the two downtown ramps in 2018, using cash reserves to help cover the cost. The city invested into cleaning up and maintaining the ramps. In December, the city updated its policies and equipment programming. The updates were prompted by a November incident in which a motorist was trapped for an hour and half, exposing a problem with how equipment was responding to over-extended parking passes. 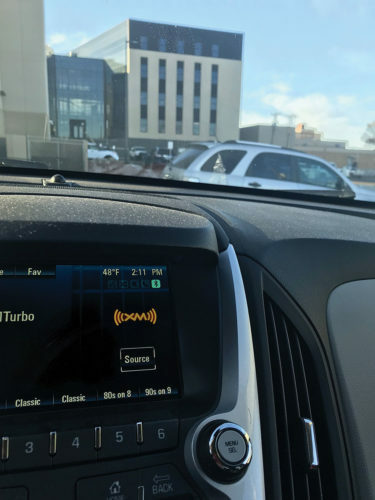 The council adopted a 2019 budget that asks Minot taxpayers to foot a $1.66 million bill to operate and put roofs on the parking ramps. The cost added more than 7 mills to the budget. A proposed property-tax increase averaging 18.5 percent drew a crowd to the Minot City Council’s budget hearing in September. Most wanted to see the preliminary budget cut, and they went away disappointed. The council began during the summer to assess the city’s financial situation, determine its budget priorities and try to make future ends meet as frugally as possible, so found it couldn’t do much more once the preliminary budget was completed. The need to fund the Northwest Area Water Project and Mouse River Enhanced Flood Protection Project means less sales tax money for infrastructure and other city projects, shifting costs to property taxes. The consolidated tax increase for the owner of a home at median value of $178,000 was about $160 when tax statements went out at the end of the year. The city tax makes up about a third of a Minot taxpayer’s property-tax bill but accounted for most of the increase. In March, the province of Manitoba, whose lawsuit has caused NAWS to drag out in environmental studies, indicated a willingness to drop any further action in exchange for the right to be involved in the NAWS design. Manitoba’s lawsuit against NAWS had been ongoing since October 2002. Construction began this past spring on NAWS-related improvements to the Minot Water Treatment Plant, and design of a biota treatment plant near Max is going forward. Also in 2018, the city’s running legal battle with a former city attorney came to an end. The Eighth Circuit Court of Appeals turned down Colleen Auer’s final appeal request in September, effectively ending the legal proceedings. Saying it’s important the story be told, Auer said she intends to eventually make documents, depositions and court motions electronically available to the public. Auer sued after the city fired her for insubordination. She had been employed by the city from March 31, to May 2, 2014. Auer argued she was fired in retaliation for a whistleblower complaint. She also sued over alleged mishandling of her credit report by the city and credit bureaus.